So when your car breaks down, a drone can land on top of your car and use its own array of sensors to temporarily replace the damaged one in the car. We are still some time away from sensor-laden cars being all over the market, but it is only a matter of time. When it does happen, car makers will have their work cut out to ensure quick repairability and durability of the car’s sensors, as even one malfunctioning sensor can prove fatal in the autonomous spread. While this problem may not really arise for at least another 15 years, Ford seems to be thinking well ahead of its time, at least according to one of the latest patents that it filed for. 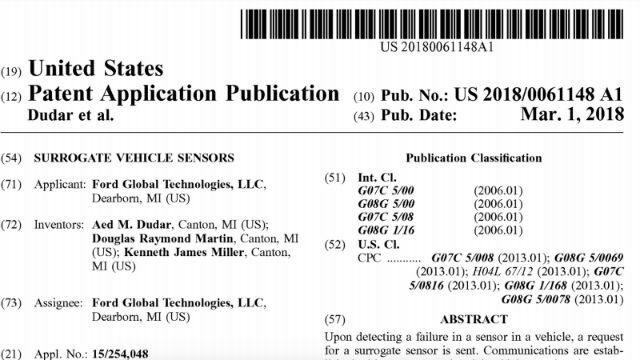 In the patent, Ford has filed for a blueprint of what can be called a surrogate car sensor unit. In case of a damaged sensor in a car, the vehicle will use vehicle-to-vehicle connection technology to connect to cloud servers and link itself to the nearest surrogate sensor hub. These sensor units in question are drones, laden with specific sensors. Once the breakdown is communicated, the necessary drone will fly out, trace the damaged car via GPS, and land on top of it. Following this, it will link its own network to the car’s central controller, and serve as a substitute for the damaged sensor until the car is brought to a repair zone where it can be fixed permanently. The system, of course, is only a patent, so there’s no guarantee on Ford using it in the near future - or even in the long run. However, it shows an interesting take on a commonplace problem that may occur with cars in the future, and how it can be dealt with. Of course, there are multiple issues at hand here - what if the communication system itself falters, what if the bandwidth is too congested and further questions surrounding network security and how authentication processes would be established between a car and a surrogate unit. Using a drone to aid cars is not an entirely new concept, though. A group of MIT researchers is known to have already been working on using drones to aid flying cars that may encounter system errors in the sky. However, the applications are completely different, even though the intentions point towards the same output. But such problems are to be pondered upon some other day. 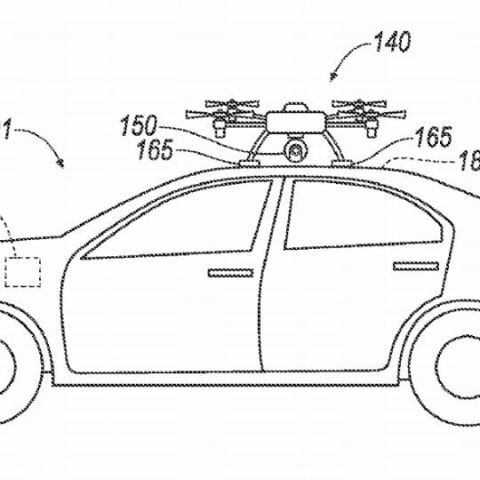 As of today, Ford’s drone-based surrogate sensor unit is a patent aimed at solving future car technology problems - a field that is bound to see fast and large volume innovation. Building innovative solutions for futuristic technologies is as important as the technologies themselves, and that is what makes Ford’s patent so important. What is the best Gadget to use both as PC/Laptop & TV without using any External Accessories ?